Did The British Collude To Steal The Election For Hillary? Great Britain has reportedly applied diplomatic pressure against releasing the unredacted Carter Page FISA documents. Why? Is it that British spy agencies were hot on the trail of Russian collusion and they do not want to have their sources compromised? Or, more likely, was MI6 spying on an American political campaign with a Russian pretext and it does not want to be embarrassed? 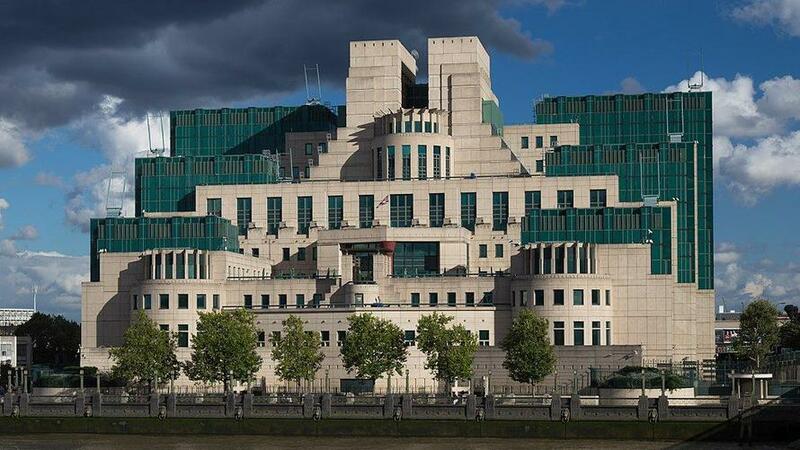 A formal alliance permits intelligence agencies from the United Kingdom and the United States to engage in common spying to stop enemies from doing things like running jets into skyscrapers. Called “Five Eyes,” the alliance also includes Australia, Canada and New Zealand. At the behest of the FBI, minor members of the Trump campaign, including Carter Page and George Papadopoulos, were invited to London to talk to Cambridge professor Stefan Halper about Trump and Russia. Unless U.S. intelligence agencies were freestyling in England, MI6 was spying on the Trump campaign. At the time, Donald Trump was making an unlikely and inexplicable run at the Republican nomination on what has been understood as a nationalist platform. The Brits were dealing with their own unlikely and inexplicable political event. Tens of millions of working-class voters were angling to do the unthinkable: reject rule by their intellectual betters at the EU. It was the run-up to the Brexit vote and a wave of nationalism was sweeping the UK. Just like their American liberal counterparts, British elites cannot psychologically process rejection on the merits. If the common man was turning down their benevolent band of bureaucrats, someone had to be controlling their minds. How else would they act against their own interest? The British aristocracy has a condescending view of the hoi polloi who voted for Brexit, regarding them as easily manipulated Pygmalion-like by smarter people. They assumed Vladimir Putin was somehow playing Professor Henry Higgins to the flower girls who voted to reject the EU, because that’s how they see the world. Among the Cambridge class, this simple prejudice renders Russian collusion a first principle with no need for supporting evidence. Whatever their motivation, it is indisputable that British intelligence agencies were imagining Putin under mattresses in 2016. If that extreme paranoia influenced behavior, Russian collusion to steal the election is void ab initio. It was instead British collusion under a false Russian pretext. Proof of British collusion can be found in the number of British spies and the absence of anyone Russian in the sordid tale. Halper is inferentially a British spy. The alternative is that he was an American spy conducting rogue operations from England. Then there is Joseph Mifsud, who walks, quacks and acts like a British spy. The alternative is that he somehow showed up in the middle of a British sting operation against George Papadopoulos as a real Russian spy to play the part of a Russian spy. More, Mifsud has documented connections to British spy agencies. He traveled to the United States in early February 2017 as a guest of the State Department, an accommodation not ordinarily made to Russian operatives who just stole an election. Finally, there is the ubiquitous Christopher Steele, author of the dossier. His connections to MI6 cannot be denied. He is a British spy emeritus, who had most recently been employed to find out why England lost itsWorld Cup bid to Russia. His answer? Putin did it. When you need a retired British spy to find Putin under a mattress, he’s your guy. Steele was hired by the Clinton campaign but also used as an FBI asset because they were in the Russian collusion business together. The joint British-U.S.-Clinton effort to fabricate a Russian canard to thwart Trump had a huge effect on the election and its aftermath. In March, Hillary Clinton’s campaign chairman had fallen for a ridiculous phishing scheme, releasing his confidential emails to an unknown source. This has been called “hacking,” but it was not. The DNC’s emails were not hacked until July. The official DNC talking points conflate the phishing with the later hack, which is sometimes confusing. Even if duplicates of John Podesta’s emails were lost during the July hack, however, expert analysis performed at the behest of the progressive publication The Nation reveals conclusively (until someone can say differently) that it could not have been sourced in Russia, based on the unimpeachable science of download speeds. For more complete and incisive analysis of the hack that wasn’t, please read Michael Thau’s series here atAmerican Greatness. The Clinton campaign was able to avoid press scrutiny for the embarrassing contents of the Podesta emails by blaming Trump and Putin under the false Russian flag. More, Trump was caricatured in the crucial last days of the election as Putin’s stooge. That was the most significant piece of fake news in the election cycle. It necessarily cost Trump votes and could have cost him the election. In the aftermath of the election, phony Russian collusion disrupted first the transition and then the presidency. Thanks to the tireless efforts of Rep. Devin Nunes (R-Calif.) and the House Intelligence Committee, as well as some enterprising reporting by journalists such as Lee Smith, Sara Carter, Andrew McCarthy, John Solomon, Sharyl Attkisson, and Julie Kelly, the facts are coming out. Maybe the Tea Party needs to reconvene to expel the Crown for meddling in American politics. Hang a lantern aloft in the belfry arch of the North Church tower as a signal light: One if by land, two if by sea, and three if by coordination with American intelligence services and a political campaign.